FORMER world champion Emily Seebohm has climbed out of the "black hole'' she was in at the Rio Olympics and back onto the medal podium at the world championships in Budapest. It took a world record of 58.10 sec from Canadian Kylie Masse to deny Seebohm a shot at a second world title last night, one of three world records set during the session. Masse, 21, was the bronze medallist in Rio but has made a big step forward this year to take down one of the few remaining supersuit world records in the women's program, Gemma Spofforth's 2009 benchmark of 52.12 sec. Seebohm too has pressed that record at her best but last night the 25-year-old Queenslander was happy just to be on the podium. She was out-touched by American Olympic silver medallist Kathleen Baker (58.58sec) but recorded her fastest time since she won the world title in 2015 (58.59sec). However it all fell apart at the worst possible moment for Seebohm in the Olympic year. Her preparation was hindered by an ongoing struggle with endometriosis, a condition for which she had surgery just after Christmas, and she missed the medals in both the 100m and 200m backstroke. So she was relieved to be back at the top level in Budapest. "It's exciting. It just goes to show how much hard work I did after Rio, and how tough it was on my body and I think, if I didn't get a cold last week, I could have been a little bit stronger on that back end but I'm stoked with that and so proud to be back on the podium. "I went into that tonight, just wanting to do a good job. 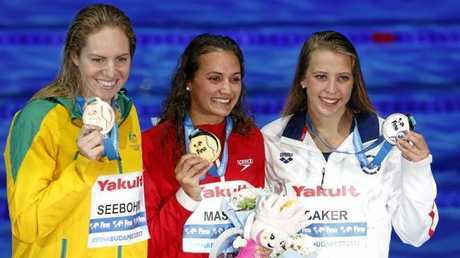 Seebohm said she went into the final expecting Masse to break the world record and was happy for her. "I didn't come into this thinking I wanted to defend my title, I came in thinking I wanted to put a good one together and actually enjoy myself a bit more,'' she said. Her boyfriend and fellow world champion Mitch Larkin fell short of the podium in the men's 100m backstroke, finishing sixth in 53.24 sec. China's Xu Jiayu won his first world title in 52.44 sec (0.04 sec slower than Larkin's 2015 winning time) after fending off the American duo of 2012 Olympic gold medallist Matt Grevers (52.48sec) and 2016 Olympic gold medallist Ryan Murphy (52.59sec). Larkin didn't expect much more after a disrupted preparation. Ultimately he was willing to take the short-term pain in return for what he believes will be long-term gain on the road to the Tokyo Olympics. Olympic bronze medallist Emma McKeon will get her shot at the world 200m freestyle title tomorrow night after qualifying second fastest behind the Olympic champion Katie Ledecky (1:54.69). Drawn in the same semi-final as Ledecky, the 23-year-old Australian decided to hold some cards to her chest but she still recorded the third-fastest time of her career, 1:54.99. They were the only two swimmers who bettered 1:55. "I wasn't really expecting to do a 1:54 tonight and it didn't feel that quick either. 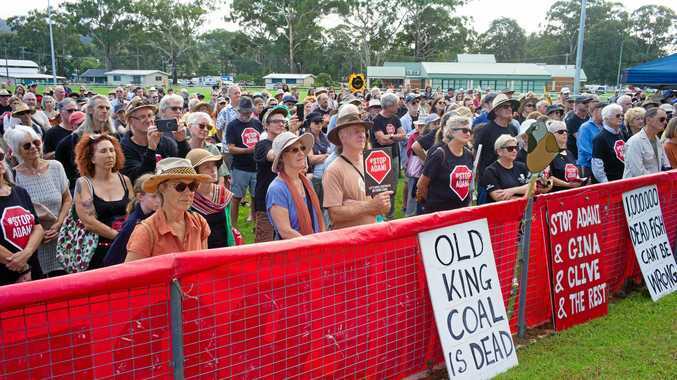 I turned around and I was a bit surprised so I'm happy,'' McKeon said. Whether that will be enough to knock over the freestyle queen, who has never lost a world title race, remains to be seen. 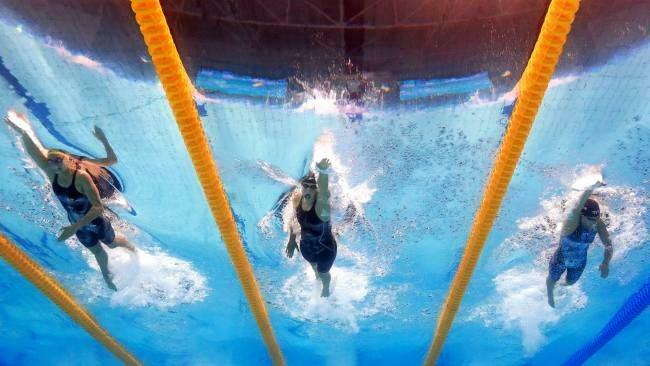 Forty-five minutes earlier, Ledecky won her third gold medal in as many days, claiming the 1500m freestyle in 15min31.82sec, faster than any other woman in history has swum but six seconds shy of her own world record. That brought her career tally to 12 world titles, taking her past compatriot Missy Franklin's previous record of 11. China's Sun Yang became the first man to win two gold medals this week, claiming the 200m freestyle to go with his 400m crown. It is the ninth world title of his career, one less than Grant Hackett accumulated. Sun, coached by Hackett's former mentor Denis Cotterell, broke his own national record, clocking 1:44.39 to move to sixth on the world all-time list, just one place behind Ian Thorpe. Only Michael Phelps and Thorpe have ever gone faster in a textile swimsuit. British Olympic gold medallist Adam Peaty became the first man to blast through the 26-second barrier in the 50m breaststroke as he set his second world record in a day. Peaty lowered his own mark from 26.42 sec to 26.10 sec in his morning heat and then improved again to 25.95 sec in his semi-final. He will be an unbackable favourite to complete the sprint breaststroke double tomorrow, with a buffer of more than half a second on his nearest rival. Olympic 100m breaststroke champion Lily King brought the third night of the championships to a crescendo by taking down both the world record and her Russian rival Yulia Efimova. The bad blood between the outspoken King and Efimova, who has twice failed doping tests, makes the rivalry between Mack Horton and Sun Yang look like a kindergarten spat. Efimova missed the world record of 1:04.35 by just 0.01 sec in the semi-final, but King came out swinging in the final and stopped the clock in 1:04.13. Her teammate Katie Meili snatched the silver medal (1:05.03) from Efimova (: 1:05.05).